Rapid change is a hallmark of the IT industry, but the traditional financial planning and analysis systems running many businesses haven’t kept pace with technological disruption. Finance teams, unable to produce meaningful, accurate and timely financial information and rolling forecasts, struggle to add value. A flexible and fluid FP&A is necessary to give a complete, accurate, real-time picture of what drives profit. 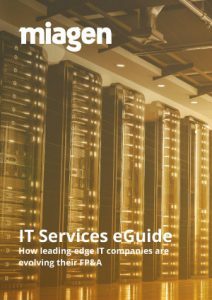 This eGuide details how Version 1 harnessed technology and smarter planning to become one of the fastest growing IT services companies in Western Europe.